Rajasthan brings to mind sand dunes, sand on the wind, and camels kicking up puffs of sand as they walk waterless miles. But what if you came across a village that is bursting with greenery? You would call it a miracle; we prefer to see it as a physical manifestation of open-mindedness. 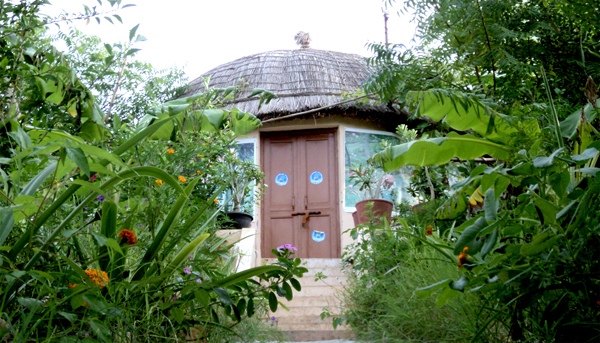 Piplantri, a tiny village in the Rajsamand district of Rajasthan, is such an oasis. And the reason why it is so green is a unique tradition that the residents follow. 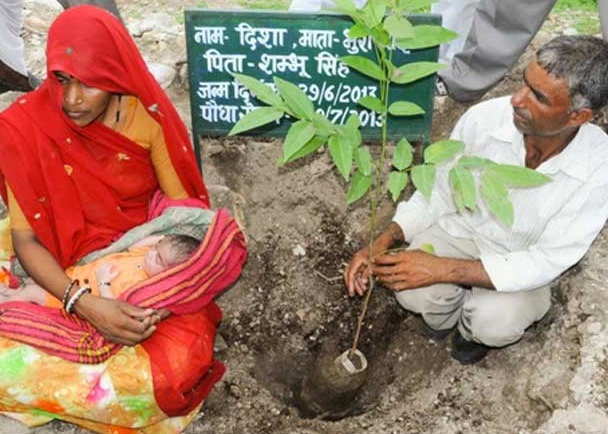 In Piplantri, every time a girl is born, the whole village celebrates the birth by planting 111 saplings. In 2013, The Hindu reported that over 250,000 seedlings had already been laid by this tradition. And planting is not the end of it. The villagers, in symbolism to the treatment of females, make sure the trees grow up strong and healthy by planting aloe vera around the base of the saplings. 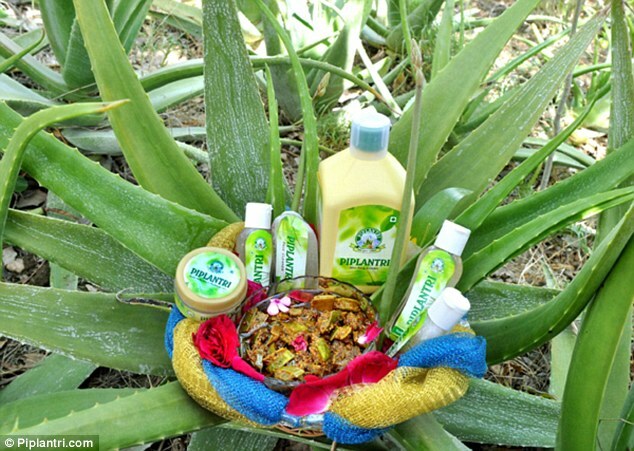 The aloe vera, which numbers more than 2 million now and growing, not only deters termites from taking hold of the trees, but also have produced an income source in the form of aloe-based products as balms, juices, gels, and more. Just look for the Piplantri brand. Shyam Sundar Paliwal, a former sarpanch, played a key role in establishing this tradition to honour the memory of his daughter Kiran. As a further initiative, a village committee along with members from Anganwadi identify the families who are reluctant to accept the female babies born to them and work towards changing their attitude. They collect Rs.10,000 from the family and Rs.21,000 from donations from the rest of the village, and deposit the total of Rs.31,000 as a 20-years’ fixed deposit in the baby girl’s name. The parents are made to sign an affidavit not to marry the child off before maturity, to ensure proper schooling for the girl, and to take care of the trees planted in the baby’s name. A strong statement and an immensely gutsy move towards woman empowerment! In today’s World, where news is full of injustice and violence towards females, such a stand by a whole community, no matter how small, is heart-warming indeed! It does not take thousands of people to start a change. The desire for change comes from a single voice. Voices of regular citizens like me and you. Download our app Swipe – share your opinion, ask questions, discuss issues that matter to you.